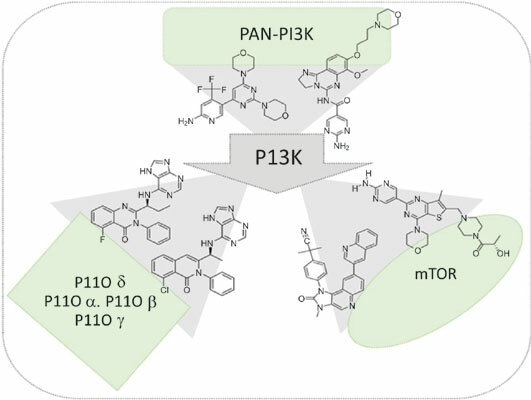 Background: The phophatidylinositol 3-kinase (PI3K) pathway is critical in regulating diverse cellular functions and its deregulation is associated to one third of human cancers. Therefore, several PI3K inhibitors have been developed with many of these entering preclinical and early clinical assessments. Structure based design has led to the development of broad array of agents including dual inhibitors of PI3K and mTOR, pan-PI3K inhibitors and isoform specific inhibitors for cancer therapy. However, as we move towards deeper clinical assessment, there are challenges with regards to therapeutic index, toxicity profile, overcoming feedback loops and the like. This review explores these classes of PI3K inhibitors, their strategies and progress in clinical assessment. Method: A structured search of bibliographic databases was undertaken for peer-reviewed literature using a focused review query. The quality of retrieved articles was assessed using standard tools. The contents of the screened articles were ananlyzed to deduce interventions and findings extracting the quintessence in a conceptual framework. Results: A total of 104 papers have been referenced in the review that includes research papers, review articles, conferences/meetings proceedings and theses. The papers were studied and assessed according to our objective and classified for the refinement of the data to be extracted from them. This review identifies classes of PI3K inhibitors and the status of these inhibitors in terms of its clinical value. Conclusion: This review precisely talks about the finding and strategies of PI3K inhibitors in clinical development. Though the future of PI3K inhibitors against cancer might seem beaming, there are challenges to face regarding strategic development, clinical regimen, tolerability and limited monotherapy activity. Keywords: Anticancer drugs, clinical trials, combination therapy, PI3K inhibitors, PI3K/ mTOR, pan-PI3K, isoform-specific PI3K. Keywords:Anticancer drugs, clinical trials, combination therapy, PI3K inhibitors, PI3K/ mTOR, pan-PI3K, isoform-specific PI3K. Abstract:Background: The phophatidylinositol 3-kinase (PI3K) pathway is critical in regulating diverse cellular functions and its deregulation is associated to one third of human cancers. Therefore, several PI3K inhibitors have been developed with many of these entering preclinical and early clinical assessments. Structure based design has led to the development of broad array of agents including dual inhibitors of PI3K and mTOR, pan-PI3K inhibitors and isoform specific inhibitors for cancer therapy. However, as we move towards deeper clinical assessment, there are challenges with regards to therapeutic index, toxicity profile, overcoming feedback loops and the like. This review explores these classes of PI3K inhibitors, their strategies and progress in clinical assessment.